The new stylish and powerful tab gives limitless self-expression opportunities in any place at any time - listen to music, watch videos, make pictures and chat online. 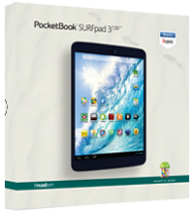 PocketBook SURFpad 3 (7,85") as well as any other PocketBook device has a guaranty and post- guaranty manufacture’s support in a wide range of service centers as well as in PocketBook contact-center. 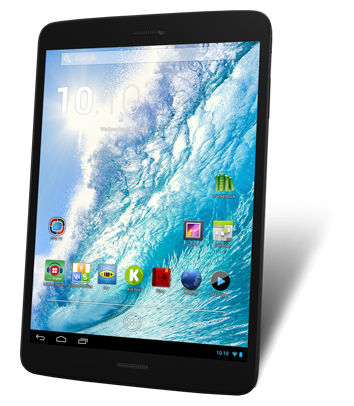 PocketBook SURFpad 3 (7,85") is equipped with the new quad core CPU, Bluetooth, GPS module, 3G modem. The newest Android 4.2 is used as an operating system. High-quality, striking PocketBook SURFpad 3 (7,85") guarantees you fancy and memorable impresions! Device works with most text, graphic, HD audio and video formats, has a set of preinstalled apps and services including Skype, Yandex Maps and Yandex Navigator.